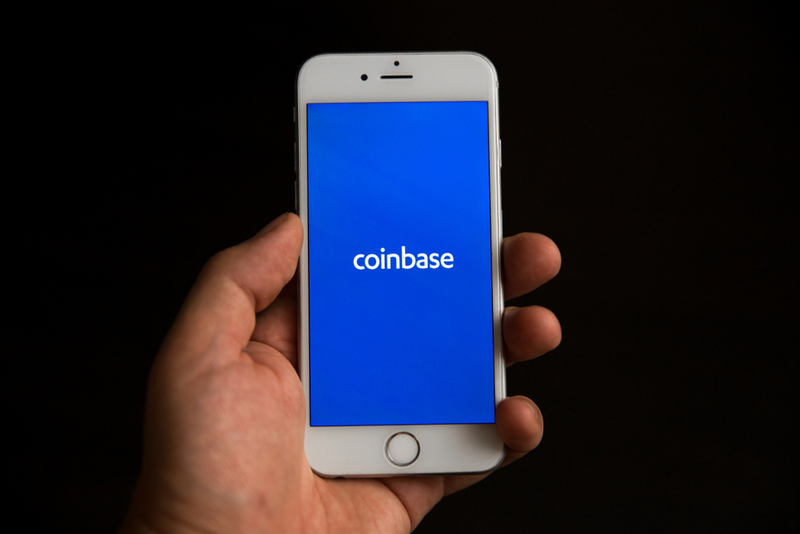 Coinbase is one of the most popular cryptocurrency exchanges in the US. However, it is not available in all jurisdictions. Additionally, the exchange does not offer a wide range of digital assets to trade in. If you are looking for an alternative for Coinbase, here are the places you should look at. The largest exchange in the world, Binance is a world apart from its peers. It offers a large variety of coin for users to trade. Binance’s native cryptocurrency token Binance Coin (BNB) is one of the largest crypto tokens in the world, and it offers several additional perks to users in the Binance ecosystem. Binance appears as one of the largest exchanges because of the sheer number of coins and order books available here. It is also an extremely secure exchange which has continued to offer high-quality service to the users. Interestingly, the exchange is not even two years old yet. It charges a modest transaction fee of 0.1% and users get additional discounts of up to 50% if they use the BNB coin to pay the fees. The Chinese crypto giant boasts of a worldwide presence. Gemini is a Ney York-based cryptocurrency exchange that is regulated by the New York State Department of Financial Services. The interesting thing about Gemini is that it offers its own stablecoin- the Gemini Dollar (GUSD). The stablecoin is pegged 1:1 to the US dollar and allows the users a simple and fast way to engage with fiat and digital currencies altogether. Gemini is a high-quality alternative to Coinbase and does not charge its users for transactions, making it much cheaper than Coinbase. The exchange hence gets a decided advantage over its peers. The Gemini wallet offers cold storage facility to the users which allow for safe storage of your crypto holdings. Gemini exchange is the brainchild of the Winklevoss twins, Cameron and Tyler, who are one of the earliest proponents of Bitcoin. Gemini has large market volumes for both Bitcoin and Ethereum offering users significant utility. Users are allowed to create both personal and business accounts, and all the accounts are protected using two-factor authentication. Hence, Gemini offers heightened security for user accounts and has no known history of hacks or security breaches. Founded in 2011, Kraken is a relatively older exchange based in San Francisco that is one of the most popular coin exchanges on the globe. It has is also a secure exchange since it has not experienced a breach till date. The good thing about Kraken is that it offers fiat support for four currencies and offers more than two dozen digital currencies. Another interesting feature of Kraken is its margin trading facility for Bitcoin. Users can open a position in Bitcoin with leverage which is facilitated by a healthy lending market. Kraken charges a transaction fee between 0% to 0.15% for sellers, depending on the market you are trading it. The fees for buyers’ range between 0.10% to 0.26% on an average. The exchange allows the opening of various types of accounts which will depend on the amount of information a person wants to share. The exchange also offers two-factor authentication providing additional security for the users. The Singapore based Huobi is actually a Chinese mega corporation offering cryptocurrency exchange services. The digital exchange services are dedicated to serving global traders. Huobi Pro, which was the first autonomous token exchange in the world which was later rebranded as Huobi Autonomous Digital Asset Exchange of HADAX. The exchange now supports about fourteen cryptocurrencies and is available in over 130 jurisdictions making it available to a truly global audience. The exchange takes a flat maker and taker fees of 0.2%. With a VIP membership, this fee can also be reduced. HADAX also keeps over 98% of its assets in cold storage which helps in keeping it a secure exchange. Another popular exchange that could be a very good alternative to Coinbase, CEX.io was established in 2013 in London and has one of the simplest and easiest UIs in the cryptocurrency exchange world. It also has an easy verification process, that takes a headache out of crypto exchange account management. The exchange is all about simplicity and user-friendliness. The exchange currently supports a wide variety of payment options- users can deposit money using debit and credit cards. It also accepts direct bank transfers. Some of the popular cryptos on this exchange are Litecoin, Ripple, Dash and Bitcoin Cash. You can even trade directly on the platform, and the exchange comes with smartphone trading options as well. Like other exchanges, CEX.io offers a competitive rate for trading fees, ranging between 0% to 0.2%. Changelly is a different kind of exchange. It brings in a breath of fresh air. The crypto to crypto exchange offers you to trade one crypto to another without paying a fortune in trading fee. It is easy to convert cryptocurrencies without delay using their two options- precise and quick. Established in 2013 in Prague, Changelly is a comparatively new exchange but hasn’t had any issues with security and breaches yet. Changelly doesn’t keep funds for extended periods of time. You can simply give your wallet address to the exchange; they will convert your money and send it to you. The exchange does not ask for too many identifications and verification details from the users which makes it relatively easy to use. The exchange fees are slightly higher as Changelly costs 0.5%, but some users are ready to pay the higher fee for the added anonymity and relative ease in exchange their coins for others. Users are allowed to use both credit and debit cards. However, that attracts a higher fee. These were some of the exchanges that you can use instead of Coinbase. Depending on the jurisdiction where you reside and the coins you want to buy, CoinBene, OKeX, Bitfinex, ETHfinex, Bittrex or Gate.io could be the right options for you. However, if you are looking for good security, a larger variety of coins along with bigger brand names, the above-mentioned exchanges will be perfect for you.